Posted February 15th, 2018 by Lillian Price & filed under Dentist. Posted February 13th, 2018 by Lillian Price & filed under Dental. 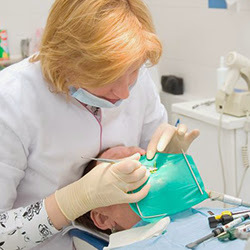 General dentistry is important for preventing decay and disease. Dental exams and cleanings should be performed twice a year for a healthier smile. An individual’s oral health will affect an individual’s overall health. Posted February 9th, 2018 by Lillian Price & filed under Dental Care. Posted February 5th, 2018 by Lillian Price & filed under Dental Care. Posted February 1st, 2018 by Lillian Price & filed under Dental Care.